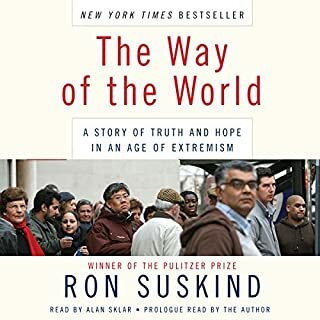 Another monumental work by Suskind, The Way of the World is essential reading for anyone interested in understanding how to win the so-called "war on terror", and why so far we are losing. Although the talk show circuit has focused on the book's new revelations of the Bush administration's use of deception in instigating the war in Iraq (including illegally ordering the CIA to forge documents to deceive the American public), it will be remembered for its insightful exploration of America's real strength: our democratic values of inclusiveness, equality, free speech, and dialog. In a series of interwoven personal narratives, Suskind gives us an intimate look at key moments when good deeds by individual Americans helped change the way their Muslim friends viewed America and the world. Similarly, the book shows moments when our Muslim interlocutors have helped Americans better understand how to live up to our democratic ideals. Many books detail the errors and excesses of the "war on terror." This book alone speaks movingly and convincingly of the way forward.